Christie has been working to achieve Pet Fix's mission since 2008 as a volunteer, board member and past president of the board of directors. She has extensive experience with non-profit management, serving on various non-profit boards. Before taking the helm at PetFix, she spent 17 years at the Rock and Roll Hall of Fame where she provided strategic vision and oversight for all curatorial, collections, and exhibition activities and resources. Christie lives in Cleveland Heights with her three dogs, Dickens, Daisy, and Stella. Dr. Johnston came to PetFix in 2016. She is a graduate of The Ohio State University College of Veterinary Medicine. Dr. Johnston is driven to help keep happy animals in good homes, and reduce the number of unwanted pets. She believes that high-quality spay and neuter is an essential part of this. Dr. Johnston works full time at PetFix. In her spare time, she likes clicker training animals (particularly dogs), drawing, and singing. Dr. Dunlap joined the PetFix team in 2018. She is a graduate of The Ohio State University College of Veterinary Medicine. Dr. Dunlap works at PetFix full-time. 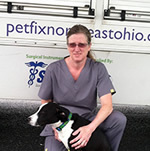 Her love of surgery and rescue led her to PetFix after 2 years in private practice. She has a Boston Terrier (Ready), a Chihuahua mix (Mario), and a rabbit (Stripe). In her free time, she runs a non-profit wildlife rescue (Born to Be Wild) caring for orphaned squirrels, cottontails, opossums, mice, and bats. Kathy graduated from the University Of Illinois–Champaign Urbana in 1981 with a BS in Biology. She graduated from North Carolina State University College of Veterinary Medicine in 1995. Her first job working in a shelter was in rural Illinois while pursuing her Bachelor's degree. Although her veterinary career has taken many paths over the years, she has consistently maintained a link to shelter work. She started in spay/neuter work in New Orleans in 1998 with SNIP and St. Tammany Humane Society and continued to keep her hand in it after moving to Ohio in 2002. Dr. Topham's work with PetFix is part-time, the rest of her time is spent at Pawsitive Results Animal Rehabilitation Center. She currently shares her home with her husband - The "Other" Dr. Topham, 5 dogs and 2 cats. In her spare time, Dr. Topham trains and competes in agility with her 5 dogs. The cats aren't interested. Grace began working at PetFix in 2015 as an Administrative Assistant and in early 2016 became our Office Coordinator. She found her passion for animal welfare while volunteering for the Euclid Animal Shelter in 2004. Since then, she has rescued and adopted many animals including her current dog, a pit bull named Baby and her two cats Rarri and Smoker. She current lives Euclid with her pets and her son Elijah. When not working to end pet overpopulation, she can be found with her son re-reading the Harry Potter series, watching movies or with her best friend Vickie. 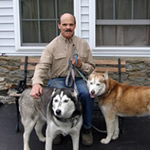 Ron started with PetFix in November 2005 as a driver/vet assistant. He was recruited by Dr. Sarah Kirk, who along with her daughter Jill, boarded their horses with him. It was a very interesting and at times a challenging journey keeping the PetFix mobile clinic moving forward. The mobile unit started out going as far west as Vermillion and down south to Canton and in those travels, Ron met a great group of interesting people and, of course, a never-ending line of loving dogs and cats. At present, Ron is working behind the scenes, helping PetFix with all our maintenance needs. Ron enjoys working with the entire PetFix organization and he is proud to be part of a very worthwhile mission to help reduce the overpopulation of dogs and cats. Jessica joined the PetFix family in August of 2016. Her background is eclectic with former jobs in the music industry, bar-tending, and film production. However, she feels the most at home and passionate about working with animals. Her background is a BA of Arts in Popular Culture from BGSU as well as several Master's level classes at the Cleveland Metroparks Zoo in Conservation & Sustainability. Jessica has a self-proclaimed "healthy obsession" with all things feline. She has been a very active member of the Waterloo Alley Cat Project since 2010; a volunteer with Willowick Community Cats as well as being a dedicated advocate of countless TNR (trap, neuter, return) programs throughout the area. Jessica's hobbies include fostering cats, vegetarian cooking, reading, watching films of all genres, visiting Walt Disney World and hiking the various Metroparks with her husband. Jessica and her husband share their home with 5 rescue cats. 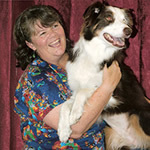 Susan has worked as a veterinary assistant for PetFix since 2006. Susan grew up riding and showing horses and continues to enjoy caring for her Arabian gelding, Albert, and several other horses. She enjoys spending time with her friend Zusa, a collie mix and her many (fixed) barn cats. Sara started at PetFix in April 2016, continuing a 12-year career in animal welfare. She enjoys working with both people and animals to accomplish the goal of no more homeless pets. Sara has seven rescued cats and a senior Golden Retriever named Lady. She lives in Concord with her husband and 2-year-old daughter, Ruth. In her spare time, Sara enjoys traveling (mostly to Disney World), crocheting, reading and playing with her daughter. Lorraine lives in Chesterland with her husband, Jim, daughter, Samantha, and son, James. They have 2 dogs - Max (yellow lab mix) and Jill (pit mix) - 4 cats, 7 ducks, and 25 chickens! Lorraine has worked as a driver and veterinary assistant for PetFix since 2007 and truly loves both the work and the mission. Kevin graduated in 2005 from Cuyahoga Community College with an Associate of Applied Science in Veterinary Technology. He has been with PetFix since the organization started! Kevin finds his work with PetFix quite fulfilling and is very glad to have been serving both the human and animal communities in such a manner for so long. Kevin also worked for many years at the Cleveland Metroparks Zoo as a part-time Registered Veterinary Technician. He grew up in Stow and resides with his two cats, Futz and Tandy, and a tarantula named Winifred. He enjoys film, theater, hiking, roller coasters, and trying to learn to ride his unicycle. Kevin is shown here with Sunshine, one of our many satisfied patients.